The Poole Academy of Dance has been established since 1992. It offers technical training in Ballet, Tap, Acrobatics, Modern Jazz, Group Singing, Vocal Coaching, Stage Work and Acting, training pupils to major standards in all subjects. Many of the Academy’s pupils enter the professional world of stage and theatre, proving the Academy’s high standards. The Academy strives to provide all pupils with excellent technical training whilst making classes fun and exciting. This is demonstrated by the phenomenal examination results that the pupils consistently achieve, and noticeable in all that the children do. The school offers a wide variety of subjects for pupils aged 2½ years and above including Classical Ballet following the Royal Academy of Dance, and Tap and Modern Jazz with the British Theatre Dance Association. Pupils are trained and encouraged to take their technical examinations in dance. Our 100% outstanding exam success over the 21 years has enabled us to become one of the most successful schools in Dorset, with over 85% of our pupils gaining the top mark in examinations. Image Performing Arts is an extension to the Academy which enables children to improve their performance skills giving them an all round grounding in singing, acrobatics, acting and stage work. Our acting students are able to take their Verse and Prose, and Acting examinations in the L.A.M.D.A syllabus. The school works closely with a management agency for actors, this gives pupils the opportunity to audition for roles in film, television and West End shows. Please see our News and Events page to see what some of our fantastic stars of the future have been up to. The training and opportunities that the academy offers is vital for those children who may wish to pursue a career in the arts in which an all round ability is now required to succeed. The school is situated in Wallisdown, on the border of Poole and Bournemouth making it easy to travel from all areas. It has three fully equipped working dance studios, kitchen and a large reception and homework area. Every two years we present a show with over 150 of the academy’s talented students at the Lighthouse. The show runs for 4 days and involves all pupils from age 2½ to 20. The last Ten shows staged by the Academy have been a huge success with all proceeds going to chosen charities. July 2000 – Flashback – Southampton General Hospital, N.I.T.A. 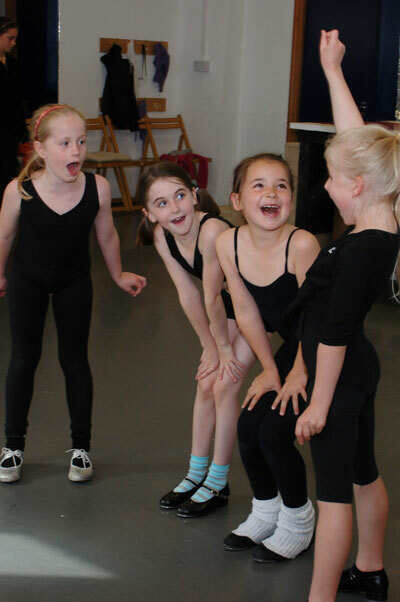 The friendly family atmosphere throughout the Poole Academy of Dance and the bond between students and staff allows pupils to feel comfortable with their own individual performance skills. Join the Poole Academy of Dance, believe in your dreams and fulfill your ambitions.